The Spokane Police Department has launched its internal investigation of suspended officer Jay Olsen amid public outrage over Friday’s jury verdict that acquitted Olsen of shooting a man in the head and firing bullets into Peaceful Valley. The internal affairs probe started Monday and will take several weeks, city spokeswoman Marlene Feist said. Olsen’s lawyer, Rob Cossey, said Friday it was unlikely that Olsen would rejoin the force because he violated Police Department policies the night he shot Shonto Pete, including getting drunk while carrying a concealed weapon in a bar and failing to call for backup when chasing Pete. The final decision is up to Spokane police Chief Anne Kirkpatrick. City taxpayers will be on the hook for about $153,000 for Olsen’s back wages, shift differential, estimated overtime and deferred compensation, according to city figures. Olsen was placed on unpaid layoff status after he was arrested in April 2007 and charged with first-degree assault and reckless endangerment. He was put on paid administrative leave after last week’s verdict. 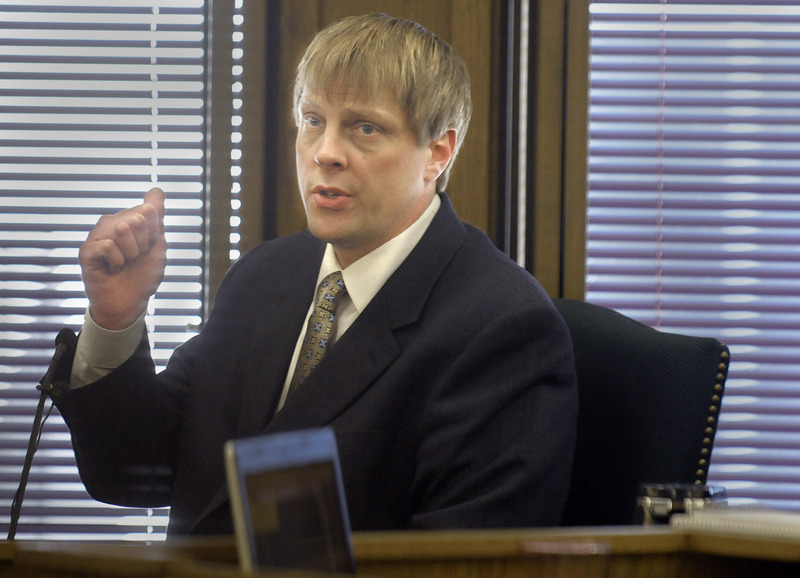 In addition, state taxpayers will be obligated to pay Olsen’s legal bills because the jury determined the intoxicated, off-duty police officer acted in self-defense when he chased and shot Pete on Feb. 26, 2007. Spokesman-Review readers and bloggers are reacting vociferously to the verdict. Dozens of people had weighed in by Monday; most said the jury made a mistake. Victor Bernstein, a retired Vietnam War veteran who described himself as a “staunch right-wing conservative” and a police reserve academy graduate, said he was appalled by the verdict. “This clown was drinking and screwing around with a firearm. … I’m going to feel much less safe in this community if this guy is out on patrol,” Bernstein said. “It’s like I’m in East Berlin or Nazi Germany – I fear this Police Department,” Hall said. Karen Kilgore said that because of the verdict, she was thinking of quitting her Block Watch volunteer work on Spokane’s North Side. “I’ve lost confidence in the police and the jury system,” Kilgore said. “I feel sorry for Shonto Pete – they really did a number on him,” she added. Some of Spokane’s human rights leaders were also troubled. Pete, 29, is Native American. “Justice should be healing, but this verdict raises more questions than it answers. It bewilders me,” said Raymond Reyes, associate vice president for intercultural relations at Gonzaga University. Reyes said he was especially outraged at the reactions of Olsen’s law enforcement colleagues who pumped their fists and hugged Olsen after the verdict. “Were they happy that he’d violated department policies? That he didn’t call for backup? That he drank to excess with a loaded gun?” Reyes said. “Many people are angry. We need to have a public discussion,” said Toni Lodge, executive director of the NATIVE Project and health clinic. Spokane’s Native American community will organize a forum next week to discuss the verdict, said Sharon Ortiz, an organizer of the Spokane Falls powwow. “We need people’s voices to be heard,” Ortiz said. Pete said he’ll attend the forum. He’ll also be discussing the Olsen trial today from 3 to 4 p.m. on KYRS community radio. Several Spokane attorneys expressed skepticism about testimony on Olsen’s behalf provided last week by police dispatch supervisor Marvin D. Tucker. Tucker said he briefly spoke to “the shooting victim” in Peaceful Valley that night, who didn’t identify himself by name but said he was shot after stealing a truck. The call Tucker described was never produced in legal proceedings despite requests by police detectives for all recorded evidence from 911 and police dispatch about the incident involving Olsen and Pete, according to Spokane County deputy prosecutor Larry Steinmetz. Tucker said the tape was erased. He only came forward recently after he was contacted by Olsen’s attorneys, including former Spokane police Officer Jeff Holy. Copies of all the 911 tapes from that night have been retained in the offices of attorney Bevan Maxey, said David Partovi, who defended Pete in an October 2007 trial on a charge he’d stolen Olsen’s truck the night Pete was shot. Pete was acquitted of the charge. After Friday’s verdict, Partovi said he called Maxey’s law firm, where he’d worked when he represented Pete. “I called Bevan after Tucker’s testimony. I didn’t believe it. They pulled the file and listened to the audio. They said Shonto Pete is on none of the recordings,” Partovi said. Partovi said he wouldn’t try to second-guess the jury that found Olsen not guilty of assault and reckless endangerment. “But I’d be very nervous if (Olsen) pulled me over. It scares the crap out of me,” Partovi said. Despite the verdict, the incident’s fallout isn’t over. After filing a $750,000 legal claim against the city of Spokane in December for getting shot in the head, Pete has now filed a federal civil rights claim against Olsen, seeking unspecified damages. If there’s no settlement, it could take up to two years for that case to get to trial. Pete spoke Monday at the Spokane City Council’s open forum. He asked if the city would pay medical bills related to the shooting. “(Mayor) Mary Verner, she was the one that told me that I should come down here and address this issue with you all,” he said. Council President Joe Shogan told him the council wasn’t able to give him advice. “If you hadn’t filed a lawsuit, we certainly could discuss this, but because you have, we can’t do that,” Shogan said. Pete said his medical bills have gone to collection and total almost $19,000. Earlier in the meeting, Councilman Bob Apple said he had heard from several constituents who are angry about the verdict. He stressed that Olsen’s trial was handled by county – not city – officials. Apple spoke with Pete briefly after the meeting. Staff writer Jonathan Brunt contributed to this report. Reach Karen Dorn Steele at (509) 459-5462 or at karend@spokesman.com.